Powered by an internal rubber band, each pop up House is supplied with its own custom mailer called a wrap. This automatic pop-up house can be supplied in different sizes though we usually get asked for one of the two standard sizes. 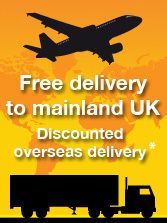 It is supplied compressed in its own custom-printed mailing pack ready for sending out to your target audience. For expediency and also to guarantee that your product jumps up with the freshest “pop” we can send it out to your mailing list from here as we are also a full-service mailing house. Events Invitations With High Impact Pop-up Action. The pop-up house makes an excellent high-impact event invitation. These business communication products are an extremely versatile shape which lends themselves to being designed as a house, a shop, a bank, a restaurant, pub, a greenhouse, a cabin – in fact any building with a pitched roof. Its automatic pop-up action is a guarantee that the product will get noticed. It will also get bounced about a lot which makes it an extremely interactive and memorable events invitation indeed. Pop-up houses make excellent desk-top pen holders and you only need to use one roof panel in order to make the transformation! We can supply the house with 4 holes in one roof panel – or 4 holes in both roof panels if you prefer, which makes the change from pop-up house to pop-up pen holder whilst all the time acting as a high impact event invitation. An exhibition handout idea with a difference. It would be wrong of us to ignore the great potential of our pop-up house to convey product information. Its quite unique shape and its automatic pop-up action grabs attention and draws focus to the message printed on the product. This makes the pop-up house an ideal vehicle for carrying product information. This, in turn, means that the pop-up house is an excellent choice as publicity material for a product launch or as an entertaining and informative hand out at an event or exhibition. The fact that it comes in a neat, compact but chunky custom printed pack only adds to the appeal of the pop-up house and to its success as an events publicity product. This promotional pop-up card house lends itself to all types of buildings with a pitched roof. Pop up houses, pop-up cottages, pop up shops, pop up offices, pop up green houses - you name it. It has been successfully designed for all kinds of promotions. It is also very popular at Christmas when printed as a promotional desk calendar for an alternative festive greeting. We currently produce the promotional pop-up house in 4 sizes and we are even able to make the pop up card house in a limited range of custom sizes. 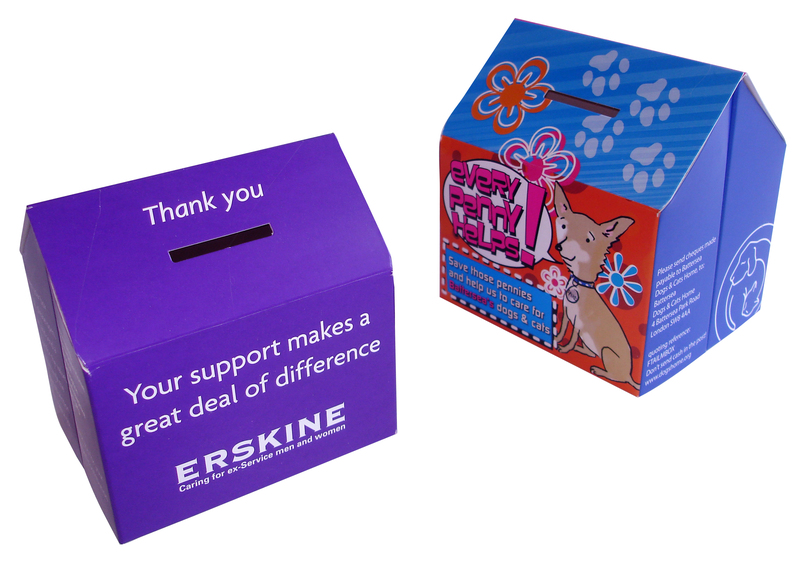 The promotional pop-up card house comes in a variety of sizes and lends itself to a variety of creative marketing ideas for business to business promotions. It has been printed as a pop up house, a pop-up bank, a pop up restaurant, a pop-up greenhouse (or glass house), a pop up hotel and pop up garden shed! 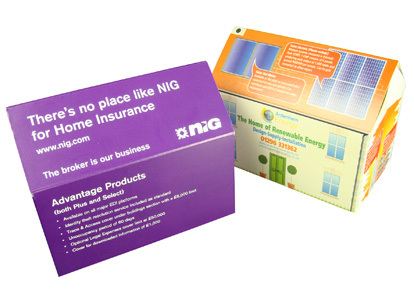 This very effective promotional pop-up card house has been used to promote building companies, mortgage companies, building societies, banks, garden centres, shops and commercial businesses amongst many others. The pop up card house is a versatile marketing idea since it can have pen holes or a coin slot added to the roof and easily become a desk-top novelty product. The Pop up House Pen Holder and the Pop up House Money Box are popular promotional marketing products for change of address and relocation announcements; office building; railway station; country cottage; holiday home; guest house; home sweet home; retirement home; thatched cottage; manor house; grange; street; crescent; close; dog kennel; stables; garage; pub; restaurant; wine bar; salon; café; pavilion and of course at Christmas-time a grotto or snow covered cottage or gingerbread house.